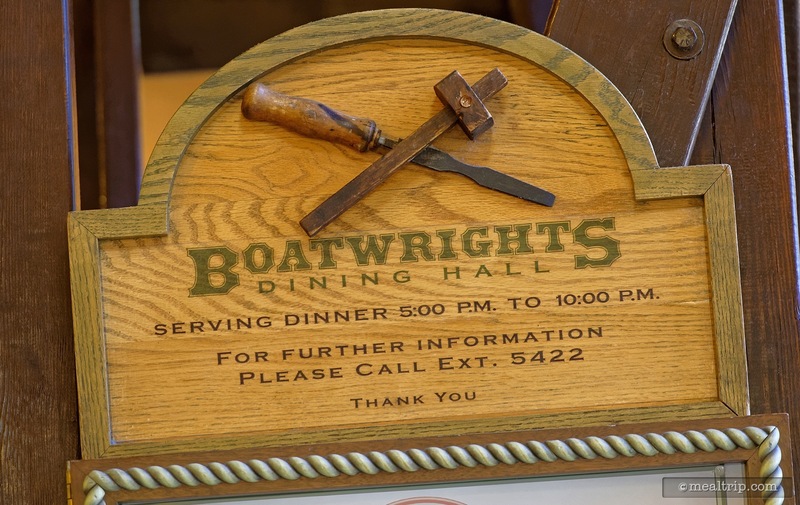 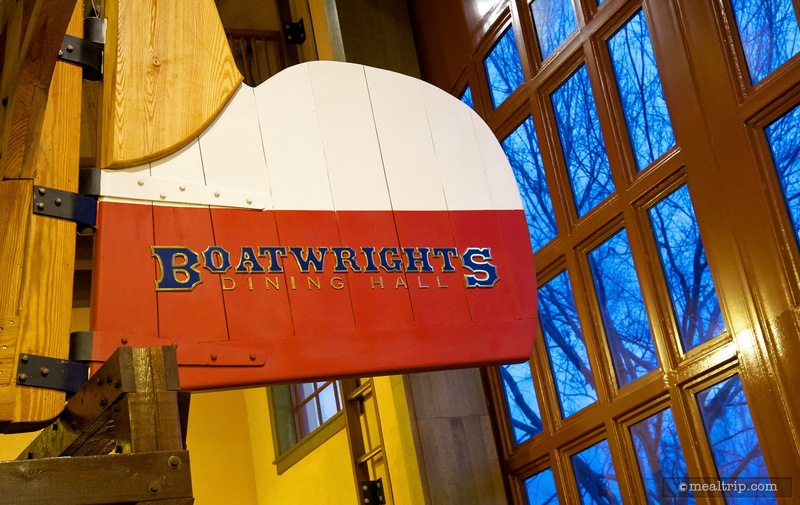 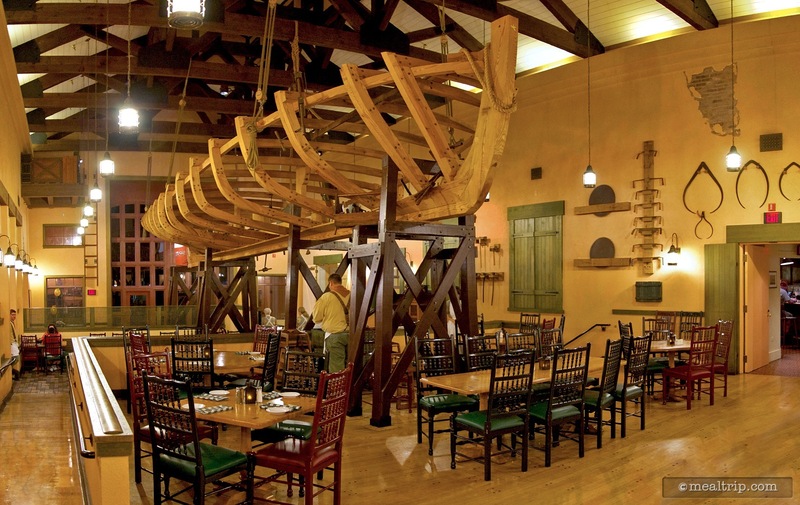 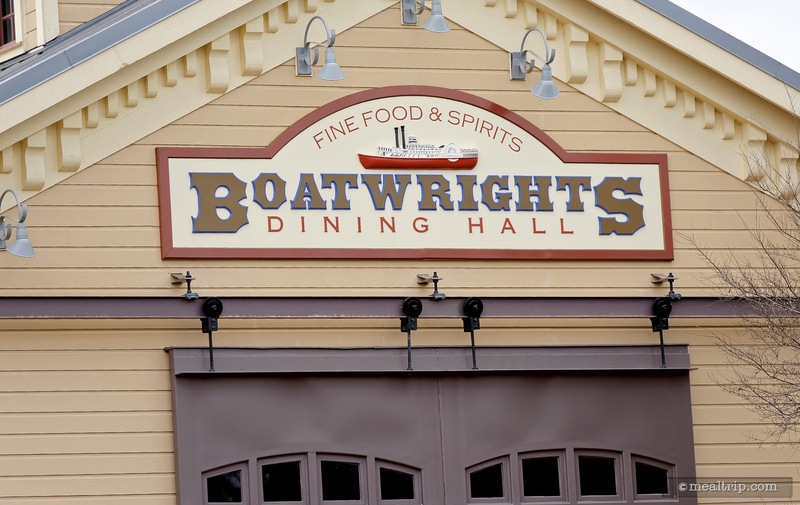 A boatwright, is a craftsman who builds wooden boats, and so Boatwright's Dining Hall at Disney's Port Orleans Riverside is aptly set inside a boat craftsman's rustic warehouse. 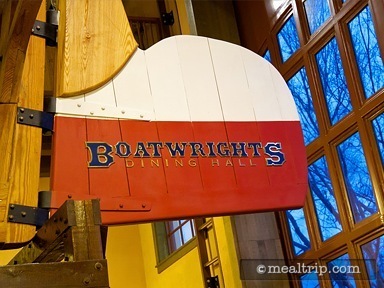 Complete with woodworking tools adorning the walls and even a boat in-progress hanging overhead, the main dining area can be quite... cavernous. 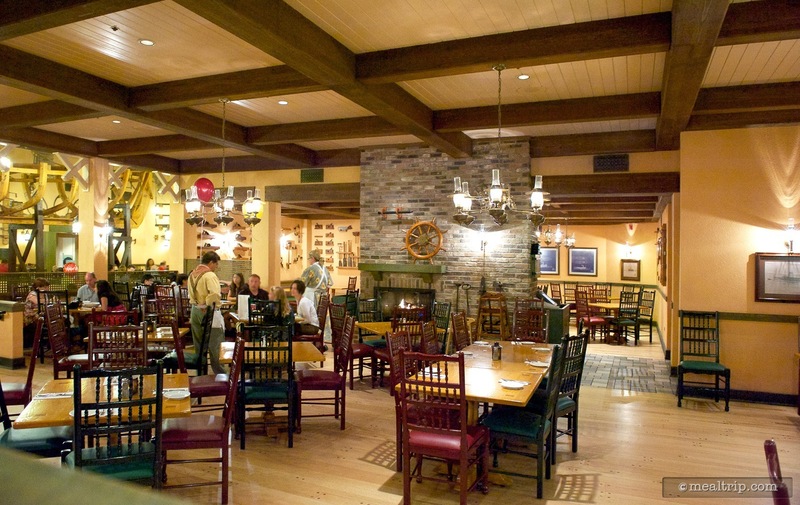 There is also a smaller dining area... sort of a "Captain's Room" complete with a fireplace off to the side and slightly elevated, which can be a bit softer and cozy. 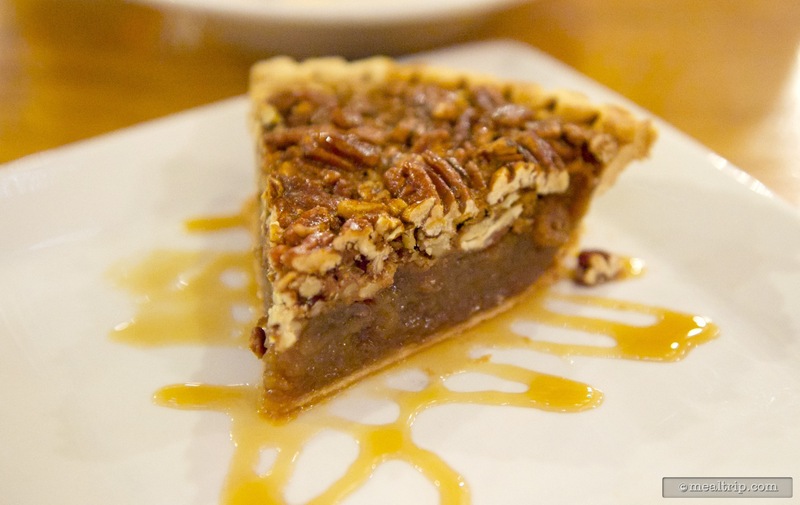 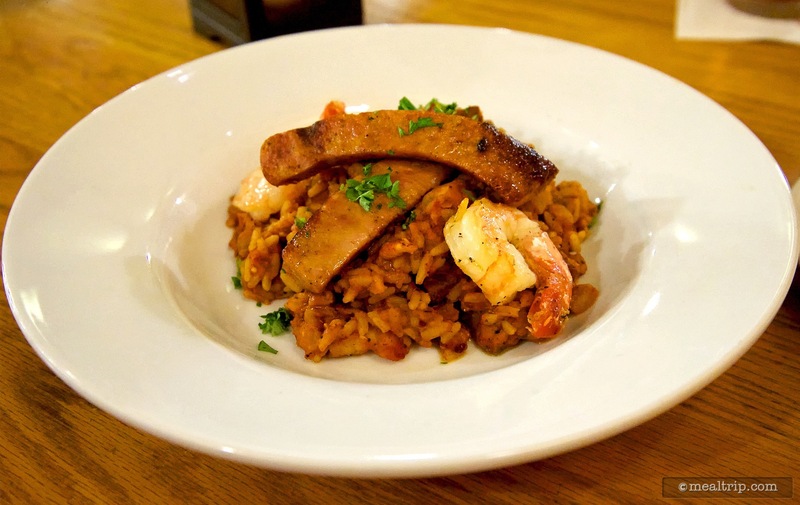 Food-wise, there are many great N'awlins inspired dishes from crawfish and gumbo to jambalaya and bananas Foster angel food cake.